A limited number of rooms at a reduced rate are available at the conference hotel until 4 weeks prior to conference begin. 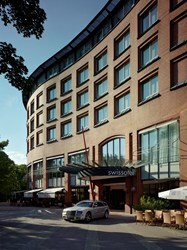 Accommodation can be booked by calling the central reservation number, fax or email bremen@swissotel.com. Please always quote the booking reference IQPC. Hotel accommodation and travel costs are not included in the registration fee. Please note: IQPC will never recommend, approve or appoint any third party rooming service to act on our behalf. Please be extremely wary if you are approached by any such companies.We will always endeavour to negotiate the best available rates for you so please contact the hotel directly.